Evanston, IL, August 3, 2018 – Several swimmers from the Flying Fish Swim Team, which is part of YWCA Evanston/North Shore, recently competed at championship meets and delivered some fast swims. 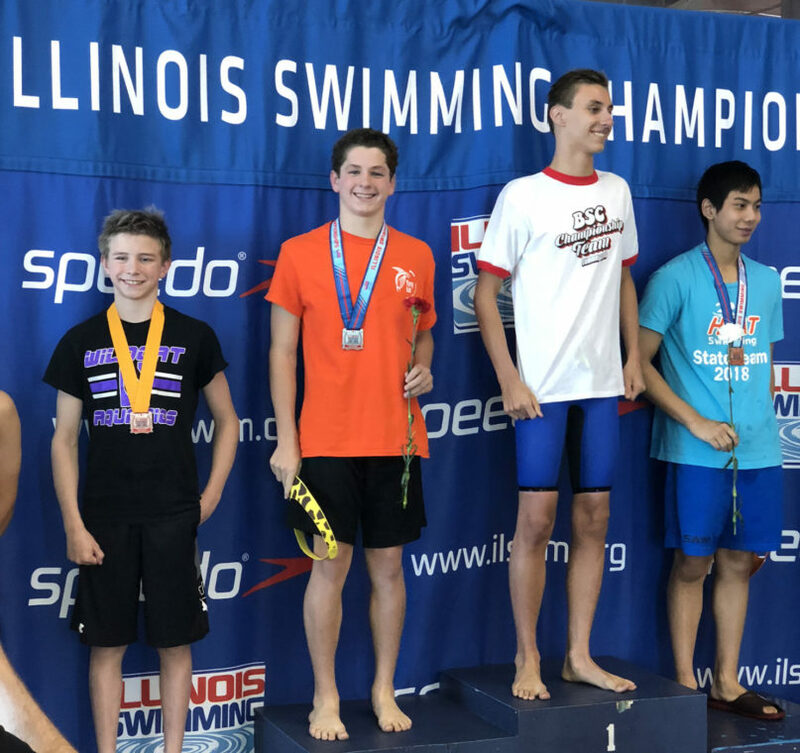 Matt Gibson led the way for the Flying Fish at the Illinois Swimming Summer Age Group Championships held July 26-29 in Pleasant Prairie, Wisconsin. Gibson finished second in the 13-14 boys 200-meter butterfly (2:08.37), third in the 100-meter butterfly (58.92), fourth in the 200-meter backstroke (2:14.35), fifth in the 100-meter backstroke (1:03.30), and 17th in the 400-meter IM (5:03.27). Gibson’s time in the 200-butterfly was the fourth fastest in Illinois history for 13-14 boys. Teammate Lily Consiglio finished 13th in the 13-14 girls 100-meter butterfly (1:06.86) and 12th in the 50-meter free (27.98). At Speedo Sectionals in Iowa City, held earlier in July, Aidan Dillon finished 11th in the men’s 800-meter free (8:38.46) and ninth in the 1500-meter free (16:46.68).Tommy Hackley finished 16th in the men’s 800-meter free (8:44.58) and 16th in the 1500 meter free (17:10.87).